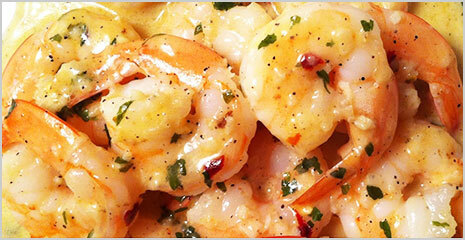 Prawns: Banana Prawns . MBSIA. Moreton Bay Seafood Industry Association. Moreton Bay Fresh Banana Prawns, when in season, are a delight to be savoured, they are an autumnal to winter species that can brighten any winter day. Fishers and consumers get the best results when in harmony with the environment. Independent scientific research concludes that the operation of prawn-trawl gear has low impact on seabeds where prawns are caught. Nevertheless, industry development aims to further reduce disturbance of the seabed, as this results in reduced fuel use and lower emission of green-house gases. 1. Peel and devein the prawns, but leave the tail section intact. heat until the butter foam begins to subside. 3. Add garlic to pan and stir through, then add prawns. ramekins and decorate with a parsley sprig.